Everybody loves pizza. Pizza pizzerias sprout everywhere in malls, in our neighborhoods and in practically every area you can find a pizza store or resto. But what makes each different from the rest is the taste and the presentation. 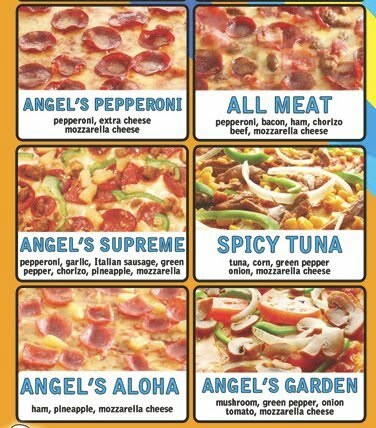 I was fortunate to have been invited to a small gathering to try out Angel's Pizza Pasta Combo food offerings for the first time on June 8, 2010 located at Bel Air, Makati City. 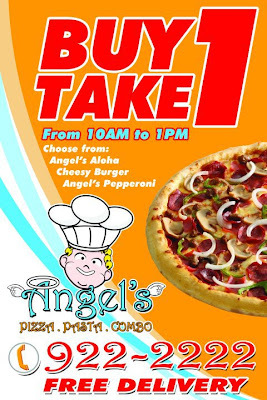 Angel's Pizza Pasta Combo is the new name of the now-defunct Domino's Pizza which I also loved for many years. 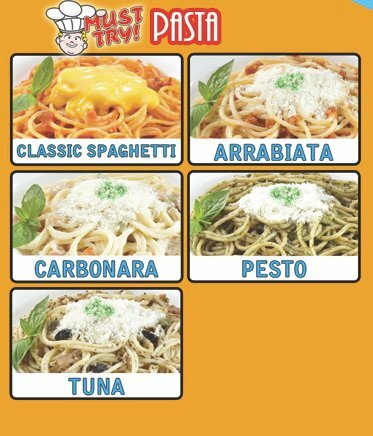 We were able to try different flavors of pizza and pasta. Of course all are sumptuous and mouth-watering. 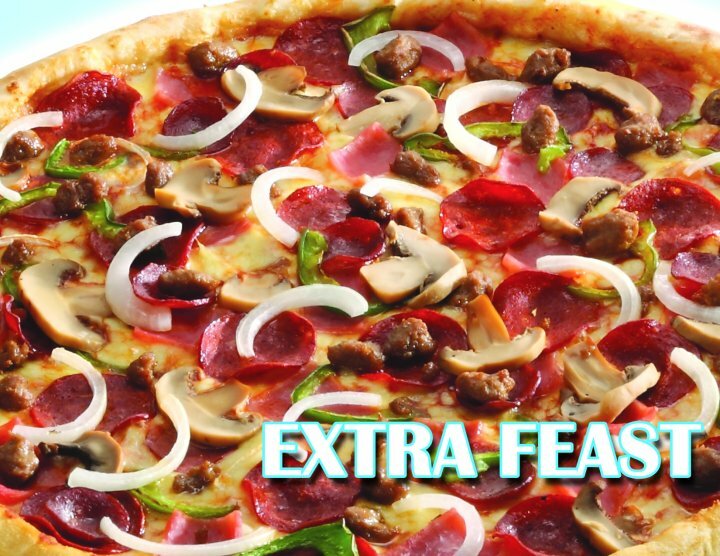 But two (2) of my favorite pizza flavors are the Cheesy Melt and the Extra Feast. 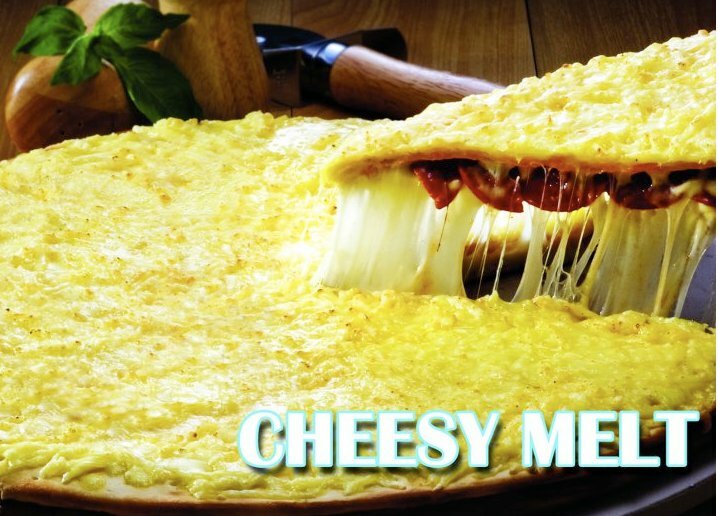 Cheesy Melt has mozzarella and cheddar cheese with pepperoni between two thin crusts. Extra Feast has pepperoni, ground beef, mushroom, onion and green pepper. What's interesting about Angel's Pizza is its crust. Listen to this and I'll give you this testimony. A pizza from the oven entices you with the aroma of the toppings mingling with the delightful fragrance of toasty crust. 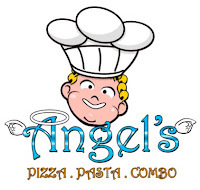 Angel's Pizza's dough is properly cooked and the way it was made is reasonably approximated. Why? 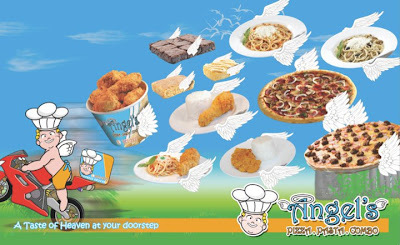 If you heat your Angel's Pizza coming from the refrigerator because you have some leftover from the previous day, I was surprised to discover that the pizza still looked fresh and the crust is very crunchy, not hard and the inside part of the crust is solid, not full of air like the other pizza brands. Its crispiness is not like other brands as if you're eating a cracker or biscuit. 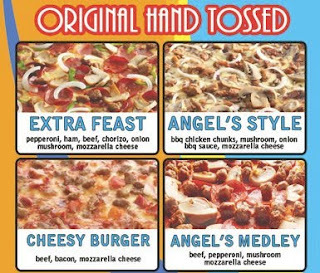 I am very particular with the pizza crust because I would often buy pizzas and store them in the refrigerator for some midnight snacks or merienda for the next day. More than the toppings, the cheese, the tomato sauce on the pizza, the crust of Angel's Pizza is what sets it apart from the rest. Try it to believe! Who would resist a pizza from Angel's Pizza Pasta Combo? They offer a Buy 1 Take 1 Promo all day, every day. [Note: please disregard the time indicated.] Check the branch nearest you and have your food delivered at your doorstep. 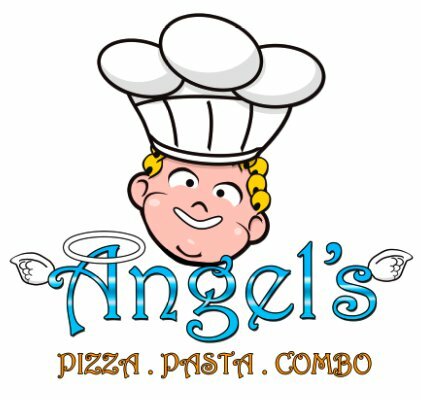 Join the Facebook Fan Page of Angel's Pizza Pasta Combo. Thanks to Angel's Pizza Pasta Combo for the delightful feast!